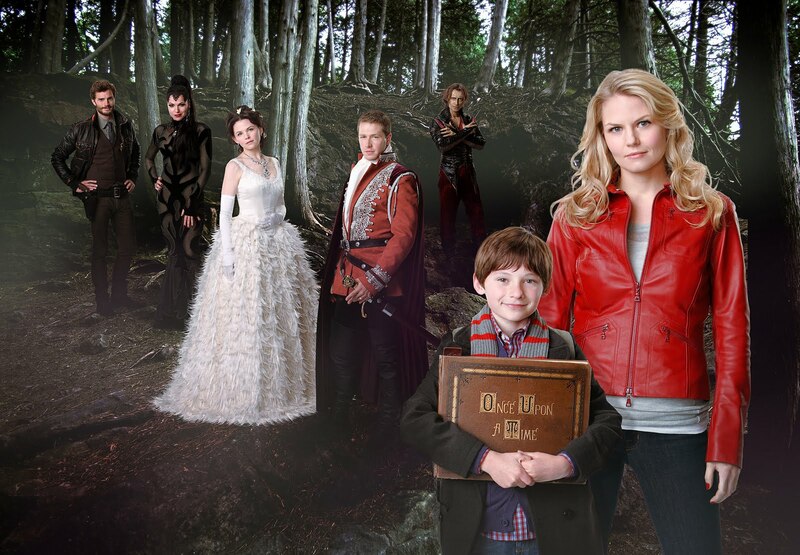 Did you catch Once Upon A Time last night dear reader? After thinking that the football was going to bulldoze over it for three hours and then finding out I was looking at the wrong channel, I did! Overall, I found the pilot interesting, entertaining, and just the right amount of fairytale. Now, if you want my short version with SPOILERS (highlight to see): Prince Charming saves Snow White. The Evil Queen isn't dead, despite best efforts, and at their wedding she visits and says a horrible curse will befall the whole land because she's the only one without a happy ending. Freaked out and lots pregnant (months later), Snow White makes the Prince take her to see Rumpelstiltskin. In exchange for the name of Snow White's daughter, Rumplekins tells them what the curse will do. He also tells them that their child will have the power to free them all from the curse. Freaked out even more, Snow White calls a meeting of the council (which is a whole bunch of our favorite fairy tale characters); at the meeting, the blue fairy gives Snow a huge log -- enchanted! -- and says that if made into a wardrobe it can transport 1 person to Narnia safety. Snow and Prince Charming have an angsty moment, and then ask Gepetto to make the wardrobe. The curse comes, Snow White has the baby, the baby escapes in the wardrobe, and Prince Charming...kinda dies...before the curse overtakes them all. Enter the real world 28 years later, 28 year old, bounty hunter Emma and her 10 year old son, Henry, who she gave up for adoption. Her son knows the truth about the cursed town called Storybooke, and he comes to find Emma because as Snow White's daughter she's the only one who can help. After taking the boy back to Storybrooke, meeting his evil step mom, and seeing that the town is certainly strange, Emma decides to stay a little longer and figure out what Henry is talking about. Now I'm a fairytale girl, so the chances of me not enjoying Once Upon A Time were slim, and within the first 10 minutes...those chances went to none. For a pilot we transitioned well between the fairytale world and the real world and got a clean background story for the rest of the season. And while the fairy tales will, of course, be a key factor in the whole series, the whimsical way they are addressed in the real world is a refreshing retelling of our favorite classics. But above all, I'm adoring the cast. Ginnifer Goodwin and Jennifer Morrison are fantastic as Snow White and Emma and already have a chemistry that will be wonderful to see developed on screen. Likewise, I expected less out of Josh Dallas who plays Prince Charming, but was happily surprised to find him quite wonderful and...charming. Based on the 1 hour yesterday, I would absolutely tune in next Sunday. Based on the preview for next Sunday, I'm confused. 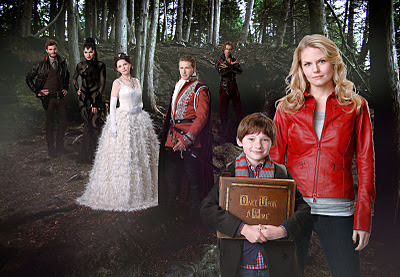 It seems we're going to learn how all the fairytale characters -- who are now locked in Storybrooke Maine and need Emma to save them -- became the fairytale heroes we know and love. Not like I won't adore this, but I was a little more invested in whole break the curse, modern storyline. Let's hope the balanced division of fairy story and modern mystery stays intacted. I leave you only with 2 questions. One, why is Snow White the new top fairytale princess? And two, why are all my favorite shows set in Maine?